Children are children. We cannot choose where we are born or what family we are born into, and yet these are things that can have such an impact on our lives. 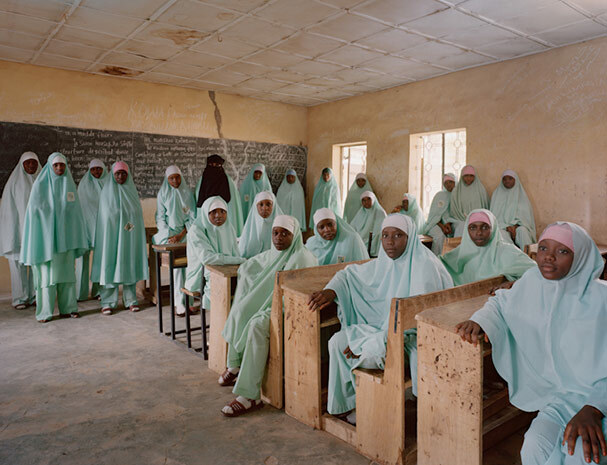 I have stumbled across a few collections of images that especially made me think about the different experiences that children have around the globe, and I wanted to put them all in one place to be looked at and thought about collectively. 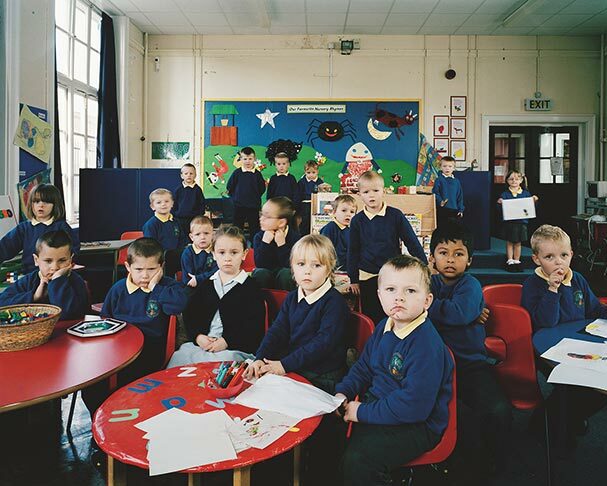 Classroom Portraits is a series by Julian Germain that started in the UK and gradually made its way further afield. Each image presents a classroom with its students. The differences between the facilities in each country isn’t surprising but is interesting – with brightly coloured displays and clean tables and chairs in the UK contrasted with recycled church pews and an old blackboard in Nigeria. Thailand isn’t included in the series, but even in my single school alone we can demonstrate both ends of the scale – from air conditioned classrooms with projectors, interactive whiteboards and shiny brand new desks for each student to cramped, dirty classrooms with a single oscillating fan, no doors in the door frames and not enough desks for students. If Gabriele Galimberti had included my five year old self in this collection I would have sat with a single, tattered teddy named Smelly. He’s still going now – propped up on a shelf in my bedroom at home in the UK. Not that I was deprived of toys – I had dolls and Polly Pockets and trolls and My Little Ponies and books and instruments… but Smelly was and still is my favourite. 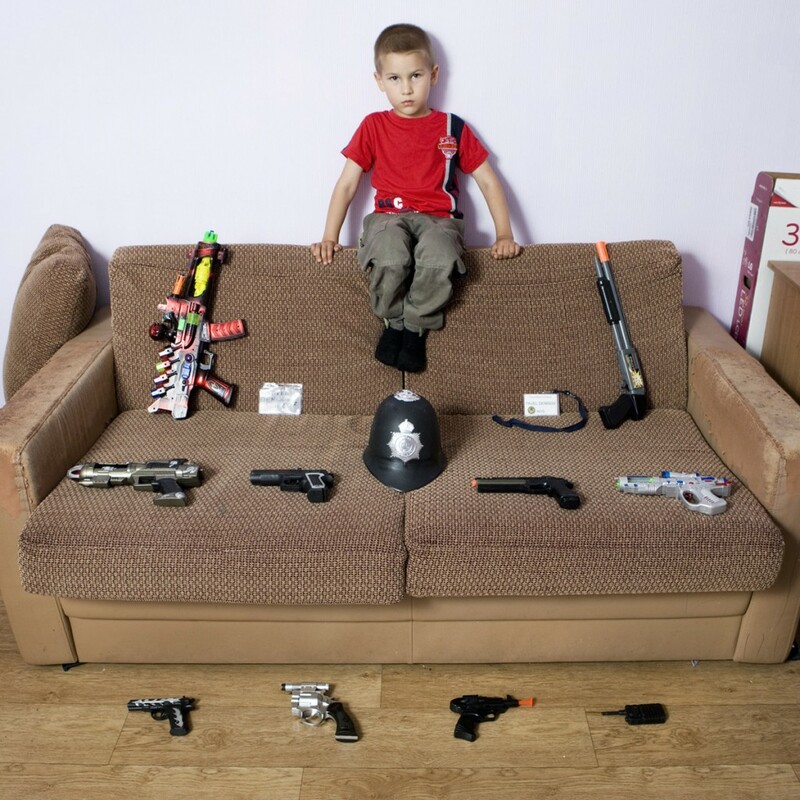 This series examines the favourite playthings of children around the world, from Cun Zi Yi from China, whose favourite toys appear to be all of them, to Pavel from Ukraine, who has a slightly scary appreciation of all things gun related and Tangawizi from Malawi who simply had an old stuffed monkey. 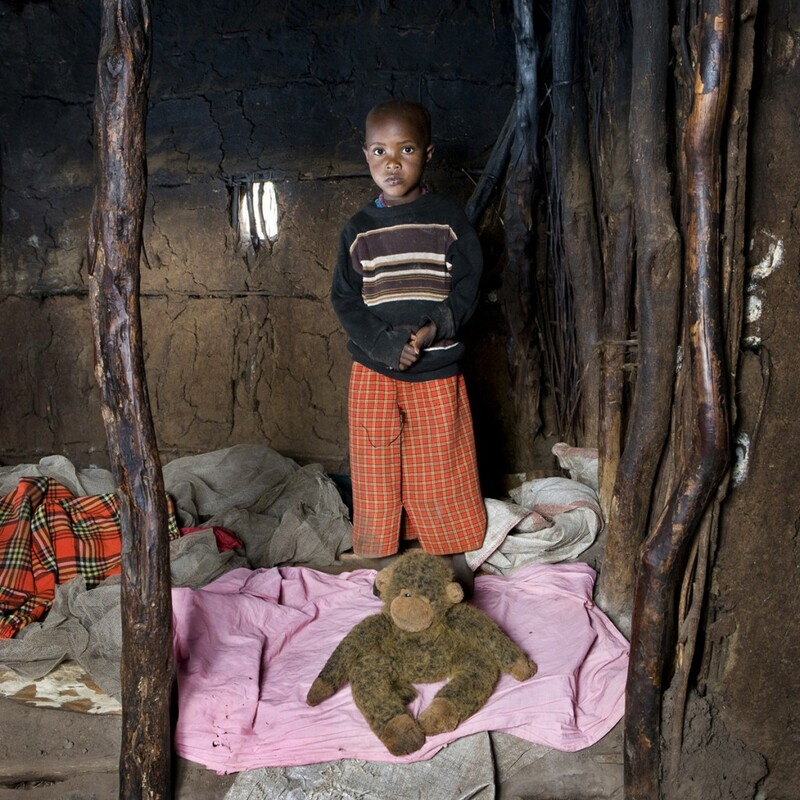 There has been some discussion online about how the children from poorer countries have been presented, often with only one toy or a few simple things. Some people see this as being the only toy they have, and that may be true. It may also be that the children from those countries are actually able to chose a favourite, rather than greedily wanting to choose all of their toys and show off their possessions. 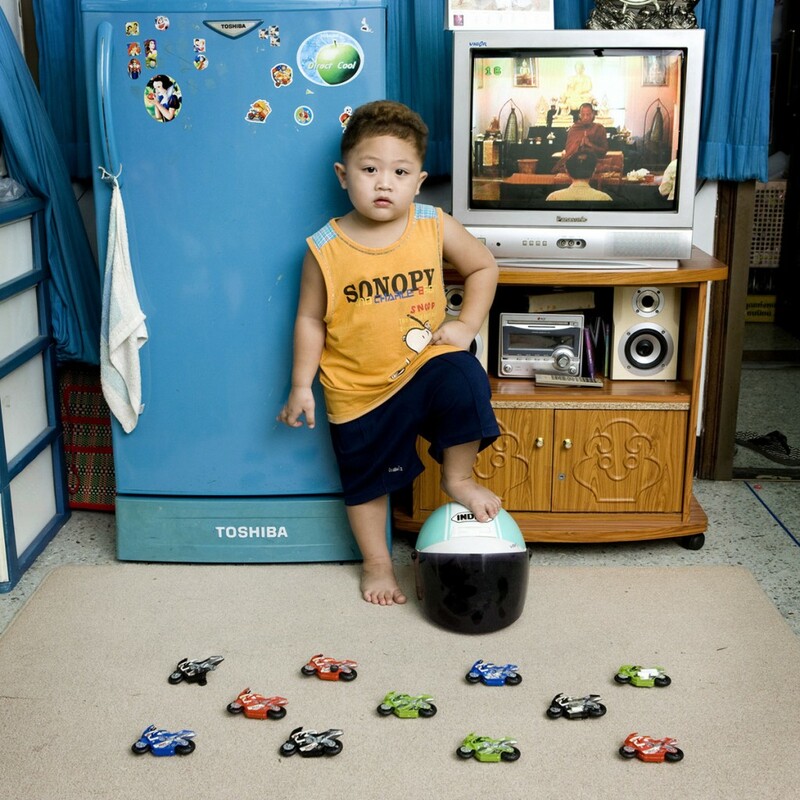 The child from Thailand had chosen his toy motorbikes as his favourites. What I found interesting about this image was the fact that he has been photographed with his foot on a motorbike helmet – something I am sure he must have been instructed to do by the photographer as the majority of Thai people wouldn’t be comfortable standing on something that goes on your head (because of deeply ingrained cultural practices around the head and feet). This made me start to think about how posed these images were. Maybe those children from Africa were encouraged to only present one single toy after all. 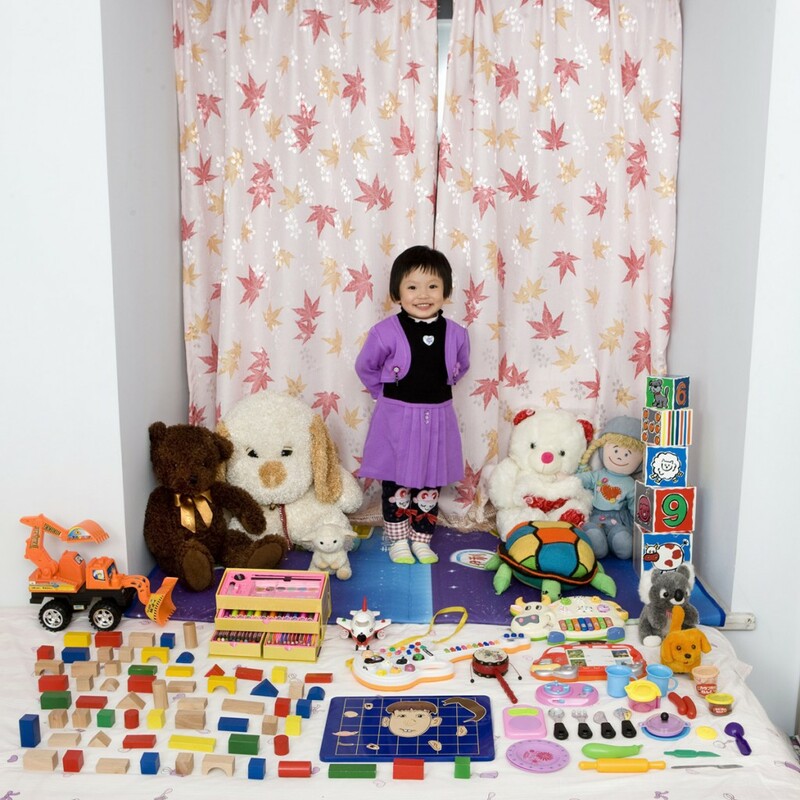 Something that I foind interesting about the previous collection of images of children and their toys is that many f them posed in their bedrooms, giving the viewer an insight into their lives, their home and leaving us free to make assumptions about how rich or poor they were. 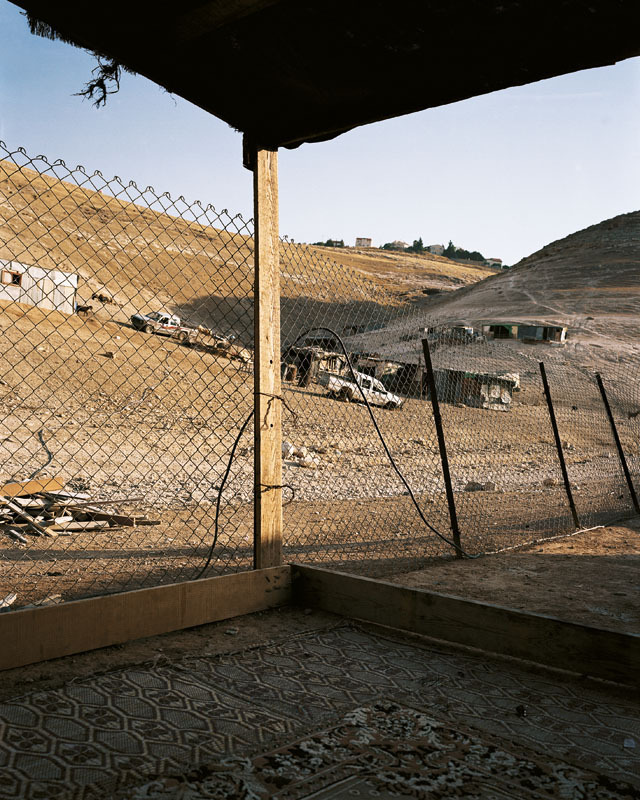 James Mollison does exactly that in Where Children Sleep – capturing two images side by side – a portrait of a child and an image of where they sleep (which isn’t always tucked up in their own bedroom, as this series demonsrates). Again, there is a stark contrast between the photographs as we go around the world, from rich to poor, bed to floor. 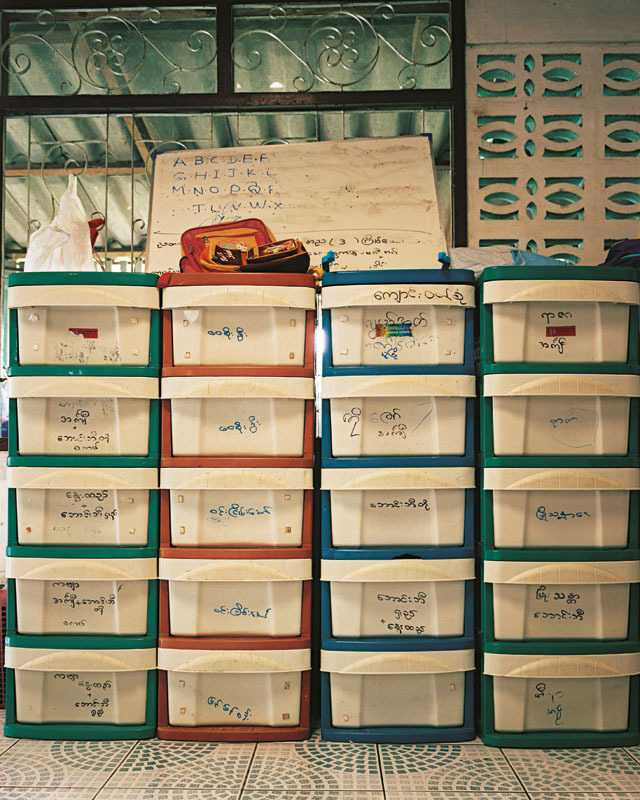 The image from Thailand doesn’t actually show where the child sleeps but the wall of the room, lined with drawers and an old whiteboard. The house appears to be a standard working class Thai home with open grate windows and ventilated brickwork topped with a corrugated roof. People often sleep in the living room as these homes usually only have one separate bedroom. In the past when I have been teaching the topic of ‘my home’ I found that the vast majority of my students live in homes that seem to have far too many people in comparison to the number of bedrooms to my westernised mind. 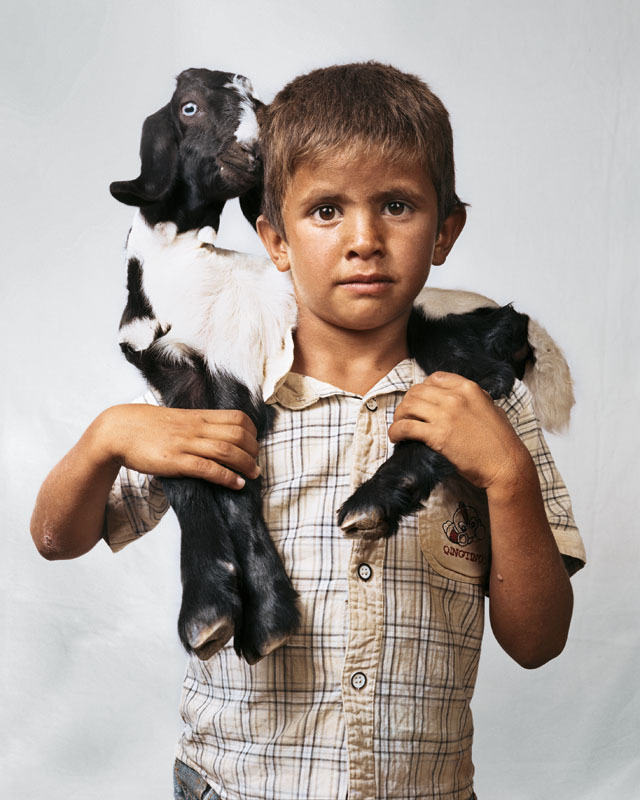 The stand out image for me that really got me thinking was of 6 year old Bilal from the West Bank, who was pictured with a goat across his shoulders and who sleeps in the open on the floor. The images aren’t presented with any commentary so you are left to make your own assumptions and ask your own questions, which is what I love about photography in this style. I hope you enjoy looking at these collections of photographs as much as I did. It’s really worth visiting the websites to view the collections in full. I’m now really inspired me to get out there with my camera a lot more too, so watch this space! Posted on December 4, 2013 October 11, 2014 by cornishkyliePosted in Photography, Useful linksTagged children, children around the world, global photography, photography, poverty. Previous Previous post: Does Teaching English Abroad Make You a Neocolonialist? Love that in the photograph of the Thai kid and his motorbikes his top says Sonopy, not Snoopy…and yeah the helmet underfoot really doesn’t make sense! Of course, Sonopy, everyone’s favourite cartoon dog! Yeah, the whole pose makes me question how set up all of the pictures were…. hope you’re enjoying Oz!! Yes I really enjoyed all three collections, really got me thinking. Thanks for your comment.